Good gravy, y’all! I am fired up and ready to sing my tail off to bring some good music and good times to you. We’re heading back into the studio in May to record the follow up to 2015’s “Unbroken” and I can’t wait for you to join us. You and your support made the last album possible. I never could have expected the response that “Unbroken” would have. In the time since it’s release, I’ve spent sacred time with people from all manner of Jewish communities, heard the stories of those who have joined the tribe, and prayed with folks from every branch of Judaism and every walk of life. It has been one of the most meaningful experiences of my life and to everyone who supported the last crowdfunding campaign or invited me out, thank you. The journey home to Judaism was just the beginning and so many new songs have been written since our family started down this road. Songs about struggle, community, and this life that we’re all experiencing together. It’s going to absolutely rock and I am so proud to be working with producer, Saul Kaye, to bring this new collection of Jewish Americana to life. Working again with the King of Jewish Blues! Independent music can be expensive and this album will be a huge undertaking. We’re putting out a full-length collection of songs – 14 tracks of original Jewish Americana. Most will feature the full band and be recorded “off the floor” in Berkeley, CA. You’ll have access not only to the perk you select, but also behind the scenes pics and videos, exclusive recordings, and what amounts to a backstage pass for the whole endeavor. We want you with us and can’t wait to get this music from the studio to your ears. Thanks for the consideration! Feel free to pick a perk and let’s get rolling. Folks, we did it. The album is mastered and the digital files are heading your way in the next few days! You’ll receive an email from me (if you gave me an email address) with access to all 14 songs. This won’t be the official release or official distribution but a special release just for funders. That means you’ll have the album a few months before anyone else! CDs, Stickers, T-Shirts, and other rewards are in the final stages of design and will be sent out as a single shipping or handed directly to you if you’re near me! I look forward to hearing your thoughts on the music. Thank you again for all that you’ve done to make this possible. Well, here it is. The final two weeks of our crowdfunding campaign and while we still have over $11,000 to go, I believe we can get there. Since we’re here, I should tell you what will happen if this campaign is not fully funded. We’ll still make the album – that is happening without a doubt. We just won’t be able to release it until a later date. We have enough to pay for the studio time, the musicians, and some of the mixing. What we’ve raised unfortunately will not cover all the mixing, mastering, or any of the CD production. So there’s the plain truth of it. I am absolutely hopeful that we can get there and get it done but I also want to be realistic about what is happening at the moment. As it stands, the campaign has been shared over 300 times and we’ve had 150 donors so far. If all the folks who shared the campaign come back and donate – I really believe we can get there. All of this music is inspired by the years since conversion and is full of lessons, stories, and celebration. We go into the studio in May to record an album that I believe will not only add chairs to the table but also create a whole slew of great dinner table conversations. I can’t wait to get it to you. Our first week had a tremendous response and I want to personally thank each and every one of you for contributing to the campaign and joining us on getting this new music into the world. I just got back from SLBC and aside from being spiritually filled up, I can tell you that it was the best one yet. The music was off the charts and the leadership training was phenomenal. It was a beautiful thing to see so many coming together to create new pathways and opportunities. Check them out at http://www.songleaderbootcamp.com. Thank you for being my Angels and constantly whispering, “Grow, grow”. Be well, be kind, and remember to sing. "Many good wishes with your new album ." "So excited for this gift to the world." "Honored to get to be a very small part of the amazing work you are doing!" "Beautiful music, beautiful message, beautiful soul! Keep it up! Love from Israel Bro. ~Dr. Jack & Shannon Nuszen"
"Your song about the Akedah blew me out of the water. Thank you." "In memory of Allen Exelbierd. Smiling, giving off good vibes that made you feel like you could share anything or talk about anything from sports to financial advice to asking him to help me find my friends if i was lost.. whatever was on your mind.. would"
"One of the greatest songwriters I have ever had the chance to know"
"What do you know Joe?" "Wish it was a million dollars." "Joe, how can I convey how proud I am of you, your spirit, your heart, your soul, your Judaism, your music? All are so moving and meaningful to our Jewish community, and humanity at large. And most endearing, your friendship is a gift to me. I love you and"
"Best money spent in years!!! So excited for this Joe :)"
"Thank you for sharing your wonderful music with the world." "Keep doing what you're doing, brother!" 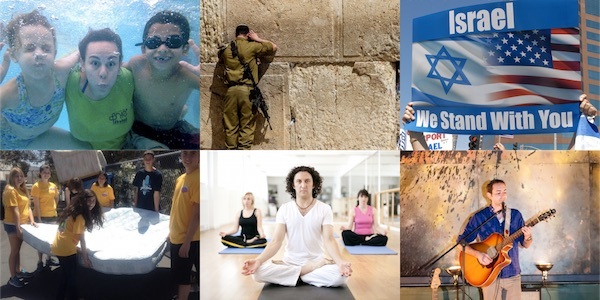 "Adding to our prior donation— a last minute, ore-Shabbat boost!" "For an inspirational musician and a mensch!" "Joe can't wait to hear the album and wish you all the success my friend. Cheers"
"Joe. Thank you for your music. I love watching you online and I look forward to meeting you in person soon." "So happy to be contributing to this campaign for an album that is sure to be amazing!" "I'm so excited about this album!" "Geter done! Wish I had more to give." "I'm thrilled to help make this recording project happen!!! Looking forward to hearing it upon completion! XO, Ellen"
"This is why we do this! This is how we do this! Roll on, Joe!" "Looking forward to hearing the finished project!" "Good luck Joe! Can’t wait to hear the new tunes!" "Love you brother. Can't wait to hear this!" "I'm still waiting for you and your wife to show up for dinner. Let's make it happen soon - I might even invite Joel :)." "Joe’s story, words and music resonate with us. Hoping our contribution helps Joe continue sharing his energy, positive attitude, message and spirit for years to come. 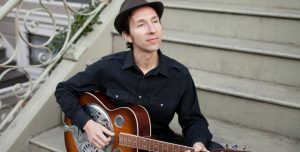 The world is a better place with Joe Buchanan music in it!" "Joe a kind soul Can’t wait to hear your next album and see you again at Temple Solel"
"I love you music, Joe! Your song "Home" is one of the most beautiful and meaningful songs I have ever heard. Excited to see you are making another album." "Joe — your music has enriched the lives of so many people on this earth, including myself! Can’t wait to listen to more, holy brother. Lots of love." "Congrats Joe! Keep inspiring us and filling our souls." "Joe - mazel tov! Love you, bud!" "Hey Joe, Can't wait to hear the new album! The world needs more of your music... Todd"
"I loved the first album and can’t wait for the second!!! Love you guys!" "thanks for the encouragement and inspiration, Joe!" "So excited for you to share more of your music and personal journey with everyone! Mazal tov, my friend! Xo"
"Joe, your music, and soul, brings insight and depth to all who listen! Can’t wait for more to be created, my friend!" "Joe I can’t wait to hear your new music." "Rock on, Joe! Can't wait to hear your new music!" "Congrats on bringing a new brand of Jewish music to the world." "Looking forward to hearing the new music." "Joe, your music touches the heart, because it comes from your heart. Keep your light shining, and can't wait to hear album #2!!" "Love the first album, can't wait to hear this one. Love "Big World""
"Looking forward to hearing your new music Joe!" "In memory of my sister, my mother in law and father in law"
"Joe - You are an amazing inspiration. My community is still talking about the amazing concert you put on for us along with Rick Recht and Naomi Less. You are the best! from "Cantor Steve"..."
"1st album is incredible. Can't wait to hear the next!!" "Joe Buchanan's music makes my soul sing! It is my honor to be able to help him provide inspiring new music to the world." "I look forward to the new album! :)"
"Your music needs to be heard throughout the land(s). Thank you for your moving story." "Keep Singing. Keep Sharing. I can't wait to get the new album!" "I was reflecting today on how much joy Joe's first album has brought me and how I keep going back to it for strength in comfort in challenging times. I met Joe at NewCAJE in 2015 and have been blessed to watch his career blossom and his reach expand"
"Mazal tov Joe! Looking forward to hearing the tunes soon!" "Looking forward to hearing this, Joe!" "Can't wait to hear the new music :)"
"Can't wait to hear the new album, Joe! Mazal Tov!" "Can’t wait to hear it, Joe!" "With overflowing love for you and your music!" "Thanks for bringing your beautiful music to the world Joe. Can't wait for the next album!" "Joe is an inspiration to me and to our community in McAllen, Tx. Happy to be a member of his fan club"
"Thrilled to support Joe’s work!" "Joe, David and I can't wait for your second album to come out. We are honored to know you and proud to call you a friend!!!" "Recently discovered this artist. Happy to support, and now I have to go back and find the first album." "Wish you the best brother!" "Mazel and so happy to support you"
"Hi Joe, I’d prefer not to have my name mentioned online. I get a lot of funding requests and don’t contribute often. I don’t want others to feel bad that I didn’t contribute to their campaigns. Thanks, Anita"
"Keep doing what you do!!" "Have heard Joe in person and am delighted to get a chance to hear him again and again and again." "Good luck Joe!! MAZEL TOV. Love, Jodi"
"Joe - rock this thing! you got this!!!" "We appreciate you and your music." "This contribution is dedicated to my dearest, darling younger sister, of blessed memory -- Heather also loved music, sang like an angel, and was a very spiritual person. I have a feeling she'd find as much joy in Joe's music -- and in his spir"
"Make some joyful noise, good brother! Love and Hugs, The Goldstein Family"
"Congrats Joe! Keep up the amazing music making!" "Keep up the wonderful music Joe! We are all blessed to have you in our lives!" "Joe, we are so proud of all you’ve achieved so far. It’s so fun watching you go from strength to strength! May your journey continue to be joyous & inspirational. With love, Nancy & Roger"
"Good luck Joe! Can’t wait to hear it." "So excited to hear this music!!" "Cannot wait for this album. Joe, you are a gift!" "No question he's got that Jewish soul. I'll see you at SLBC Joe!" "So happy to help get your next album off the ground!" "B'hatzalacha, Joe! Cannot wait for this new music, and so honored to know you and share in this work with you!" "Mazel tov my friend. Wishing you the best on your musical journey. Can’t wait for you to share your gifts!" "In honor of Rabbi Janie Grackin, thank you for introducing me to Joe!" "Mazal Tov and your second album. Best of luck for great success." "Can't wait for another album of your incredibly heartfelt tunes!" "Can’t wait to hear the killer tunes brother!!" "You rock, holy brother Joe!!" "You are an inspiration brother! Love and Gratitude." "Best of luck to you, and an advanced Mazel Tov for a successful CD." "Can't wait for the new tunes Joe! I'm glad more of your wonderful music is going out into the world0!" "Thanks for being such a great role model for Tannor and allowing me to be a part of nathans life so many years ago! We are so proud of your success!" "We're so excited for you and for the new album!! We're cheering for you! Many Blessings!! O:)"
"Mazal tov on your continuing and unique contributions to Jewish music!" "In honor of the gorgeous music and sacred work of my friend, Joe Buchanan. Keep inspiring us with your song, holy brother!" "So glad to help bring more of your great music to life!" "Can't wait to be lifted by even more of your inspiring stories and music!" "Best of luck on this campaign!!" "Its a pleasure to support a real mensch and an outstanding talent like Joe Buchanan." "We are looking forward to hearing you new album." "Joe- Hope all the funds come in quickly. Can't wait for album #2!" "Good Gravy!! I know I will enjoy this new album because I dig everything you put down on paper. I’m on Buchanan Bus!!" "You are one of the most authentic humans on this planet! Thank you for all of you inspiration! Now, Go make a Joyful Noise!!! all my love, Julie"
"Can’t wait to hear more of your glorious music!" 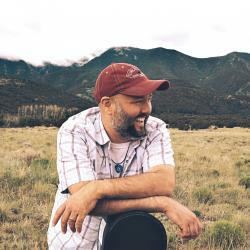 A blend of southern soul and country charm, Joe’s music is distinctly Americana and grounded in the belief that there is always more room at the table. Since converting to Judaism five years ago, he has led Shabbat services, concerts, and a workshop called "Choosing to be Chosen" in communities across the United States. 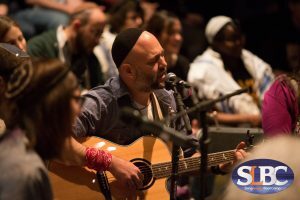 He's the host of Jewish Rock Radio’s Emerging Artist Showcase and has been featured at numerous festivals and conferences. Joe's debut album, Unbroken, was produced by Jewish blues legend, Saul Kaye, and funded right here on Jewcer! Find out more about Joe at his website - www.joebuchananmusic.com and on Facebook as Joe Buchanan Music. Thanks for giving a little wave and a lot of love. You'll receive a digital download of the album as soon as the music arrives, along with a custom sticker to commemorate the making, AND... wait for it... a shout-out on Facebook to thank you for your support! Double up and slap it down. Along with the digital download, custom sticker, and Facebook shout-out, you'll also receive an advance copy of the album - signed, sealed, and delivered. For this piece of business, you get two signed CDs sooner than they cool from the presses, and I'll record and post to Facebook a birthday video for you - keep it for yourself or gift it to a friend. You'll also receive the digital download, custom sticker, and Facebook shout-out. Thank you so much! Let's put your name in lights - or at least on a specially designed, matte-finished CD digipak. Your name will be included in the 'Special Thanks' section of the liner notes on the CD. I'll also send you a t-shirt featuring a new design for the new album. You'll also receive two signed CDs, Facebook video 'birthday song', digital download, custom sticker, and Facebook shout-out. Well, how about it!? We're taking you behind the scenes for the making of the music - club level seats via a private Facebook group that will feature access to special videos, live streams, clips, recordings, and pics. Live from the studio floor, interviews with the band, and more. You'll also receive special thanks in the liner notes of the CD, 2 signed CDs, new design t-shirt, Facebook video 'birthday song', digital download, custom sticker, and Facebook shout-out. Thank you! Wow - this is really big. As a show of appreciation, I'd like to sing a few songs just for you. At this level, you get a private, streaming concert for you and any guests. You'll also receive your name in the special thanks section of the liner notes, club level 'Chai Rollers' access, two signed CDs, a Facebook video 'birthday song', new design t-shirt, digital download, custom sticker, and Facebook shout-out. Thank you for your amazing support! Live music is coming your way - with this package, I'll go wherever you are (travel not included) and lead an Americana Shabbat service in your community or give a one hour community concert. You'll also get 10 CDs, in addition to two signed CDs, your name in the special thanks section of the liner notes, club level 'Chai Rollers' access, a Facebook video 'birthday song', new design t-shirt, digital download, custom sticker, and Facebook shout-out. Thank you so much and I can't wait for us to spend time together! So, let's make it happen. 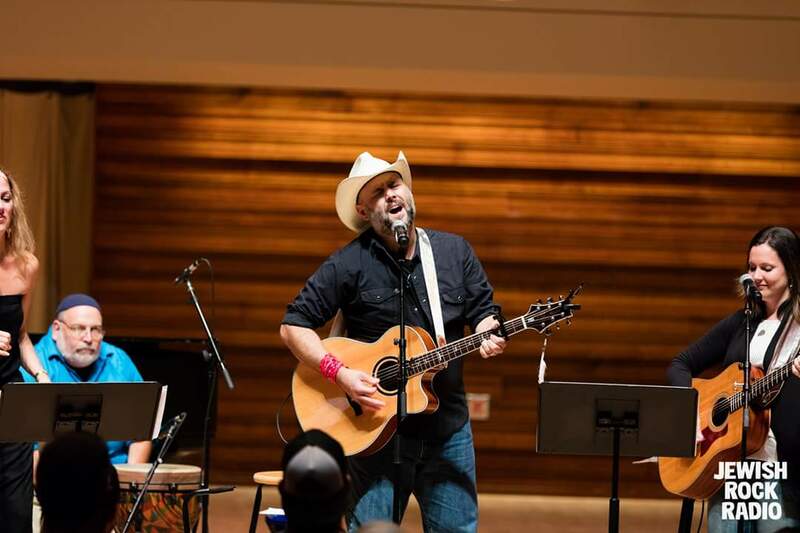 I'll travel to your community (travel not included) and lead an Americana Shabbat service, join in on Saturday, lead my workshop 'Choosing to be Chosen', and rock out a Havdalah service and community concert. You'll also get 10 CDs, in addition to two signed CDs, your name in the special thanks section of the liner notes, club level 'Chai Rollers' access, a Facebook video 'birthday song', new design t-shirt, digital download, custom sticker, and Facebook shout-out. Good gravy. You rock! I'm naming you as an Executive Producer of the album. You'll receive special credit on the album as an Executive Producer and be the exclusive owner of a limited edition 'Good Gravy! Executive Producer' mug. I'll also perform and record a cover song of your choice. You'll also get an Artist in Residence weekend - aka The Whole Enchilada - (travel not included), 10 CDs, in addition to two signed CDs, your name in the special thanks section of the liner notes, club level 'Chai Rollers' access, a Facebook video 'birthday song', new design t-shirt, digital download, custom sticker, and Facebook shout-out.